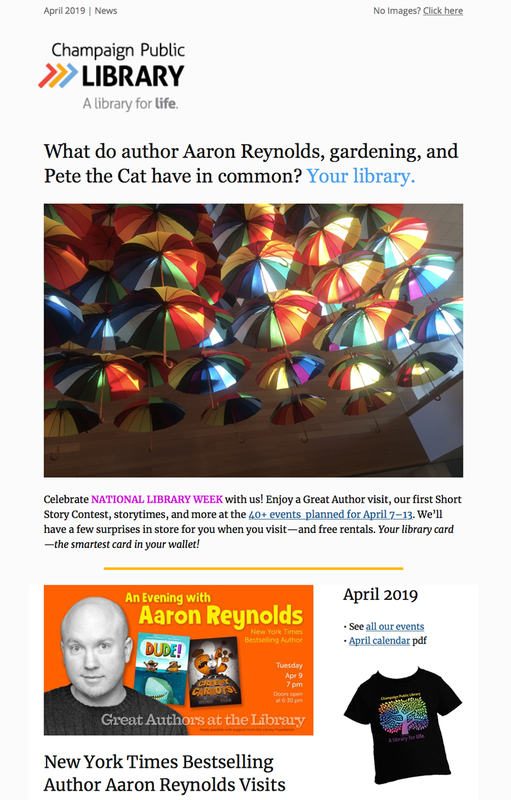 Sign up for our monthly newsletter to find out what’s on at the library. You’ll get the latest word on free events, great reads, and ways you’ll save money at the library. Your email will be used only by the library; we do not share your information with anyone else. You may remove your name from our mailing list at any time. Each newsletter includes an “unsubscribe” link.